As winter seems to be finally releasing its grip (at least in the East), we see the end of basketball season and an exciting run by the Irish hockey team to the Frozen Four. Though I like spring sports, my mind is starting to drift to Notre Dame football. It won’t be long before The Shirt arrives (let’s hope it is a better than last year), the Blue and Gold game, and before we know it, all eyes will turn to fall and a chance for the Irish to hopefully reverse a disastrous 2016 campaign. The renewed hope, had me thinking. Aside from 2012 team, the Irish have not seriously threatened for a National Championship since Lou Holtz departed South Bend. 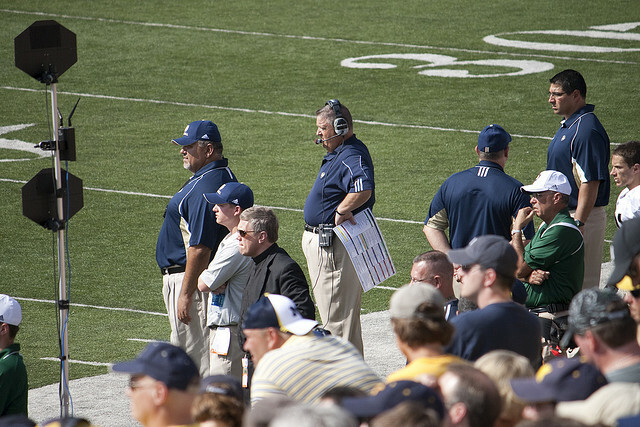 Which got me thinking furhter…of those teams since Holtz departed, what were the Top 5? I realize this may be a painful exercise for some; however, the historian in me thinks this a worthy topic to visit. So here it goes…. Maybe it was Showtime, maybe the SI Pre-Season Cover, but nonetheless the most disappointing and underachieving team of the post-Holtz era. (Thank You BVG). Why #5: The Irish did author a 10-win season, while playing most of the season with an untested, back-up quarterback in DeShone Kizer. Why Not Higher? The Irish were just 2-3 versus ranked opponents and failed to close in pivotal games vs. Clemson and Stanford. This team should have been better. Some will probably light up my twitter account with the inclusion of Bob Davie. 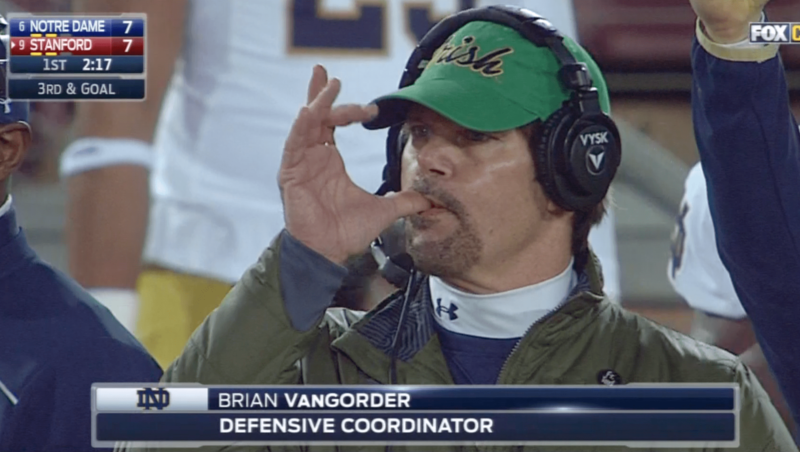 However, in my opinion he is the second best Irish coach of the post-Holtz era. He has actually done a nice rebuild job at New Mexico in the past few seasons. Why #4: Brutal start with four ranked opponents saw the Irish begin 2-2 despite losing starting quarterback Arnaz Battle. Irish would use three different quarterbacks during the season but also rattle off a seven game winning streak (against some pedestrian opponents) to finish 9-2. Why Not Higher? The Irish were absolutely blown out in the Fiesta Bowl at the hands of Oregon State 41-9. Charlie Weis’s best team and the beginning of what we thought was a return to glory. It was fun while it lasted…right? Why #3 – 3-2 versus ranked opponents as we got introduced to a new and improved Brady Quinn under Weis. Like I said the future seemed really bright. I was at the Kickoff Classic that season and witnessed the start of the Willingham era that would flirt briefly with a National Championship run in 2002. Why #2: Willingham helped the Irish run out to an 8-0 start and the second best record vs. ranked opponents 4-2. Another season where the Irish were forced to rely on a back-up quarterback for a significant period. (Pat Dillingham). Why Not Higher? The ugly green jerseys versus Boston College and an ugly 1-3 finish. I could care less whether these wins were vacated. They happened I watched it. Shame on the NCAA. 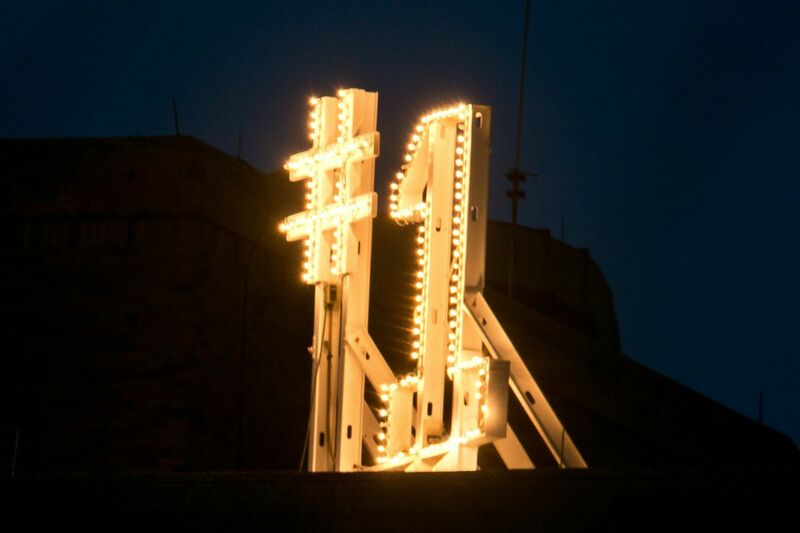 Why #1: Best record since Holtz, highest ranking since Holtz, best record vs. ranked opponents since Holtz (4-1). In my mind this team greatly overachieved where the 2015 edition faltered. 5-0 in games decided by a touchdown or less. If anything a reminder that in the right season with a few breaks Notre Dame can still compete for National Championships.